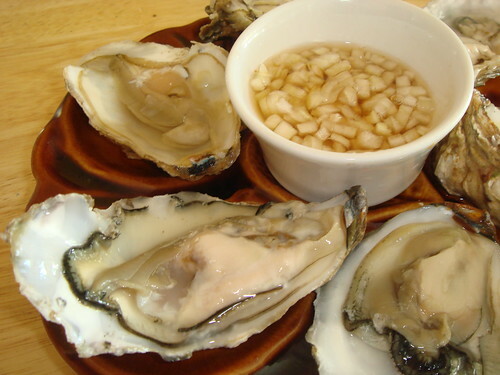 So straight after my battle with razor clams, I went on to tussle with the oysters I'd got from See Woo. As mentioned before, you can store live oysters for a couple of days wrapped in a wet teatowel in the fridge. However, I had no intention of keeping these little beauties. To prep them, I used a shucking kit from Habitat for the oysters - works like an absolute dream - and I had them raw with some shallot & raspberry vinegar. Mince the shallot or onion finely and then mix with a few good glugs of the vinegar. 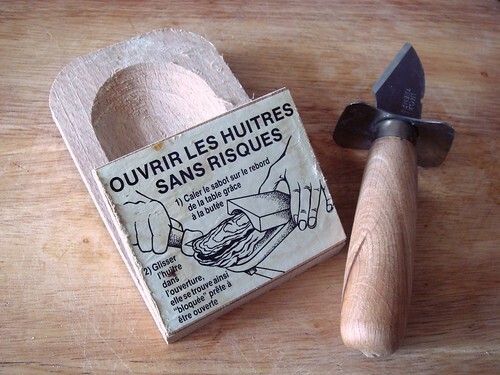 wiggle the knife all round the edge of the oyster. They should open up quite easily. 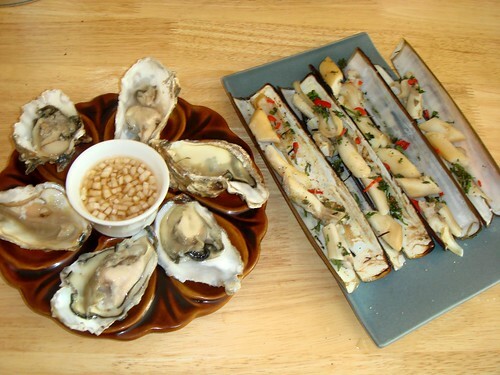 If you don't have a shucking kit, you can improvise by wrapping each oyster in a tea towel and prising their shells open with a stubby knife. 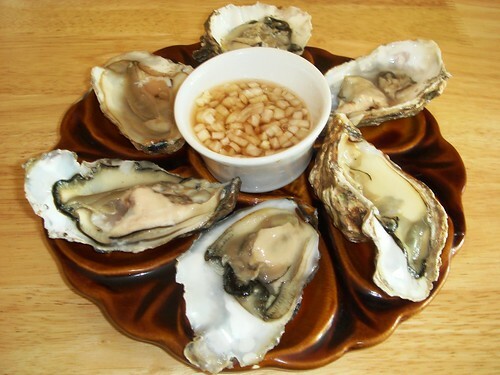 For full instructions and a "how to shuck an oyster" vid, see the BBC Good Food Guide. 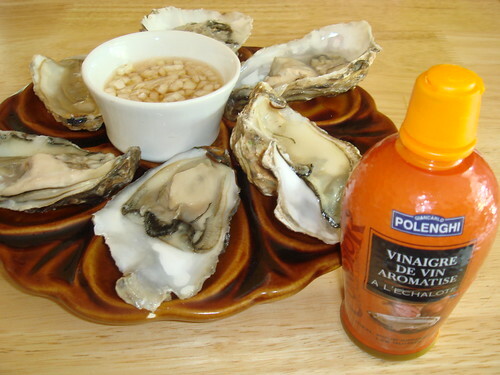 Place the opened oysters on a plate or oyster platter and serve with the shallot vinaigrette (or Tabasco and a squeeze of lemon juice if you fancy, or even some poncy French oyster vinegar like in the bottle above). Wish I was psychic, R!